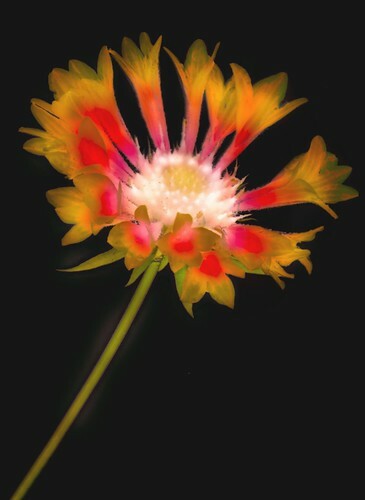 Gaillardia Photogram, photo by Harold Davis. View this image larger. I found this digital photogram of a Gaillardia flower in my files, and am posting it as part of research for a new project I am working on. Desert Night, photo by Harold Davis. View this image larger. 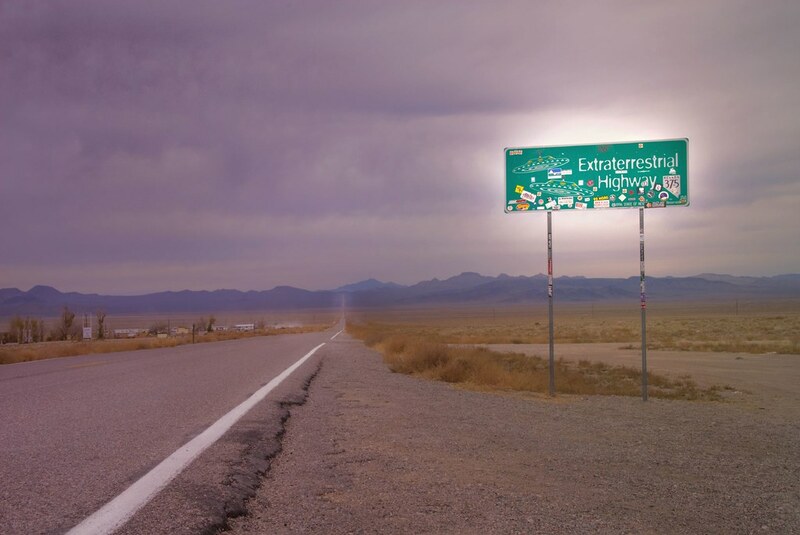 This is the last photo I took during my all-night vigil in the desert. The photo looks generally southwest, up towards the crest of the Sandstone Ridge. My last battery gave out after the thirty minute exposure had finished, but before the camera had finished processing it. My speculation is that the odd purple fringing at the corners was caused by this interuption. Lost in the Desert, photo by Harold Davis. View this image larger. I took this photo from the platform where my night ramblings on the way back from the Wave ended because I realized I was lost (here’s the back story). As I tried to keep warm through the night	I paced ever smaller circles and drained my batteries in couple of last thirty minute exposures (this one is the penultimate photo). Had I been able to see the landscape as well as my digital camera captures it, I would have realized I was standing on the Sandstone Ridge (marked on my map), and that my direction out was across the low rise in the middle right of this photo. I might also have noted the depth of the chasm right below me. Heart of the Wave, photo by Harold Davis. View this image larger. I couldn’t resist having some Photoshop fun with The Wave #5. 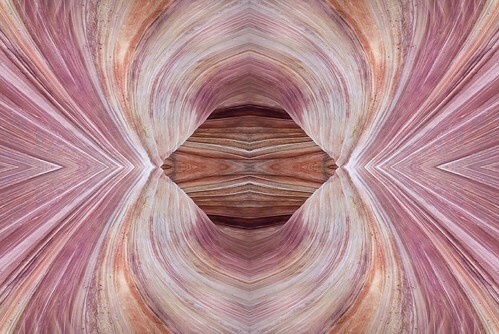 This Photoshop composite flips the original image vertically and horizontally (using the photo four times) to create this trippy effect. 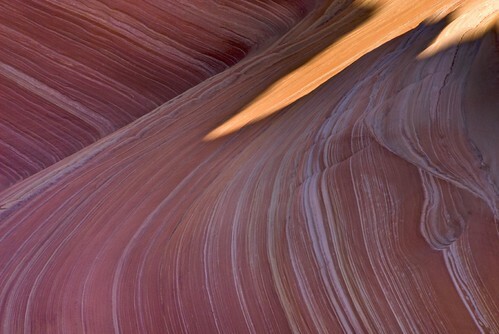 The Wave #5, photo by Harold Davis. View this image larger. Another photograph of the Wave, using a pretty wide angle lens set for maximum depth-of-field. 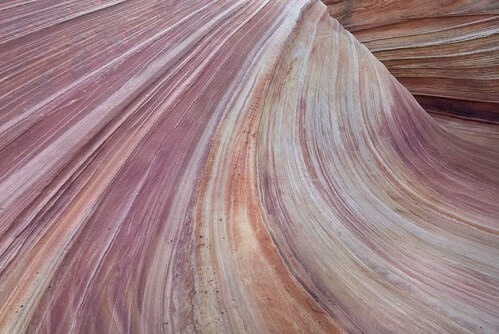 The Wave #4, photo by Harold Davis. View this image larger. Phootographing these striations in the Wave, the scene looked to me like a speedway frozen in time. 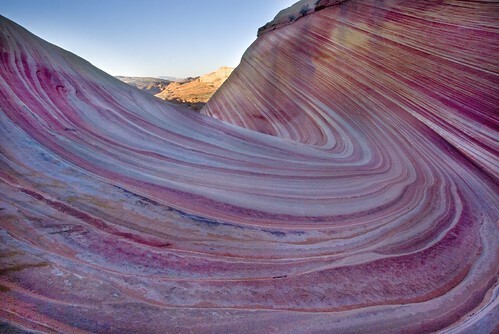 The Wave #3, photo by Harold Davis. View this image larger. Like a wave frozen in stone, the next swell coming behind, this formation stands eternally. 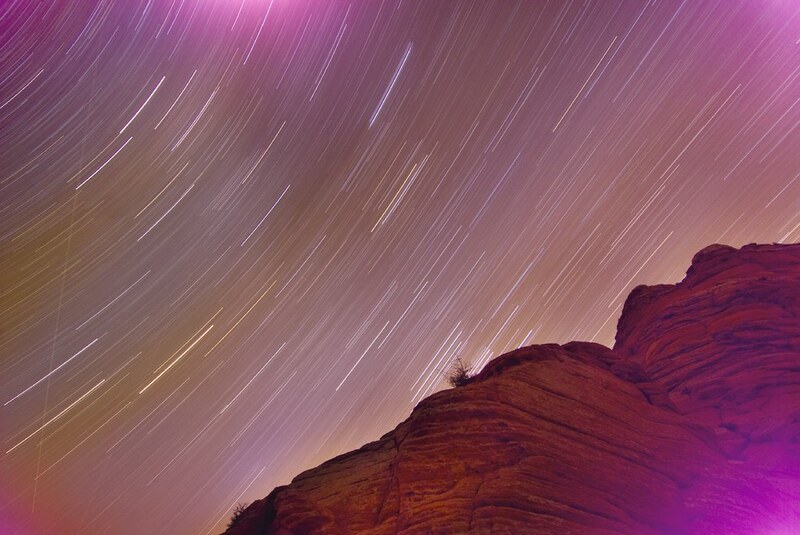 Other photos from the Wave: Pride Cometh (background story), Rock Poetry, Cosmic Swirls. Zion Canyon, photo by Harold Davis. View this image larger. This is a photo from the Zion Canyon rim near Observation Point taken just after sunset in mid-November. Virgin River, photo by Harold Davis. View this image larger. Looking up, the world is reduced to a crescent of sunlight between the cliff walls the river has carved over the eons of time. Ahead, around the next bend, the river is a trail that you cannot lose. Follow upstream, clothing wet, water sloshing in your hiking boots, and who knows what you’ll find? 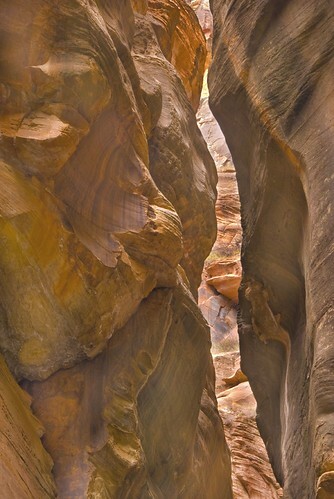 Virgin Narrows, photo by Harold Davis. View this image larger. 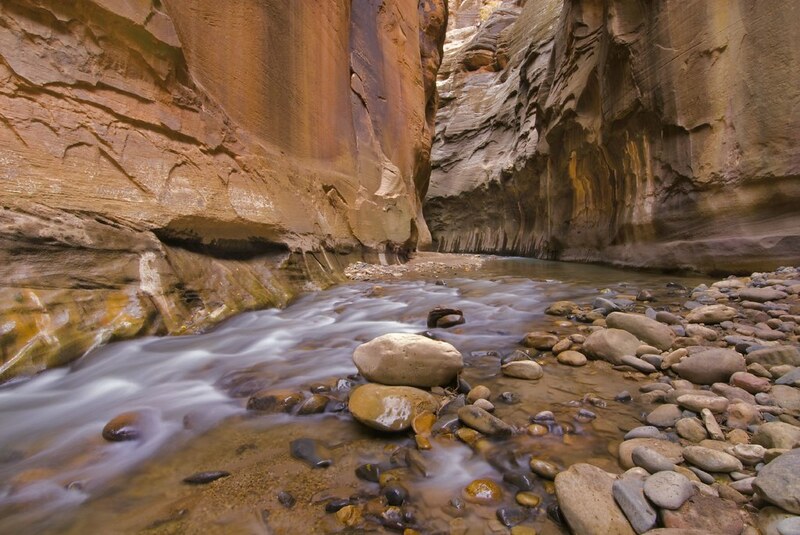 Sloshing up the Virgin River in Zion National Park as the gorge gets narrower and narrower is something that everyone should experience. 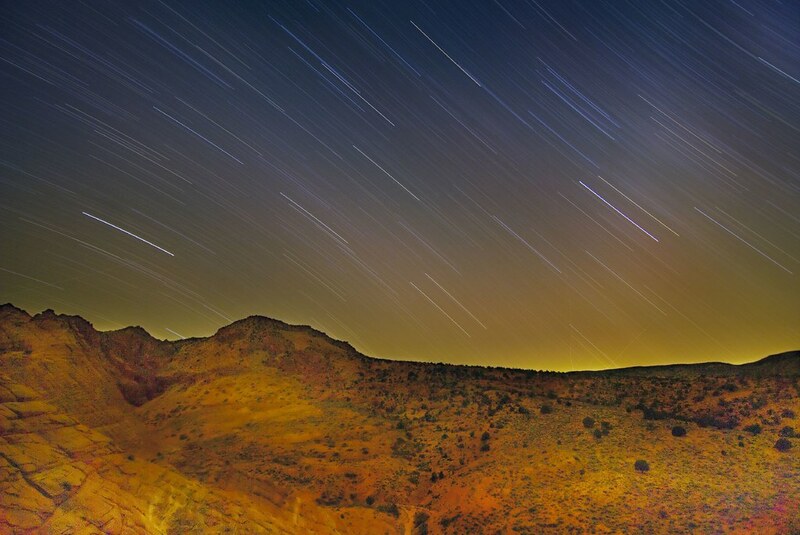 I took this photo about a mile beyond the end of the trail, using a long exposure for high depth-of-field. 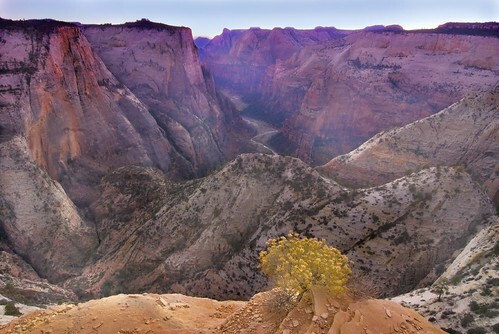 Angels Landing, photo by Harold Davis. View this image larger. 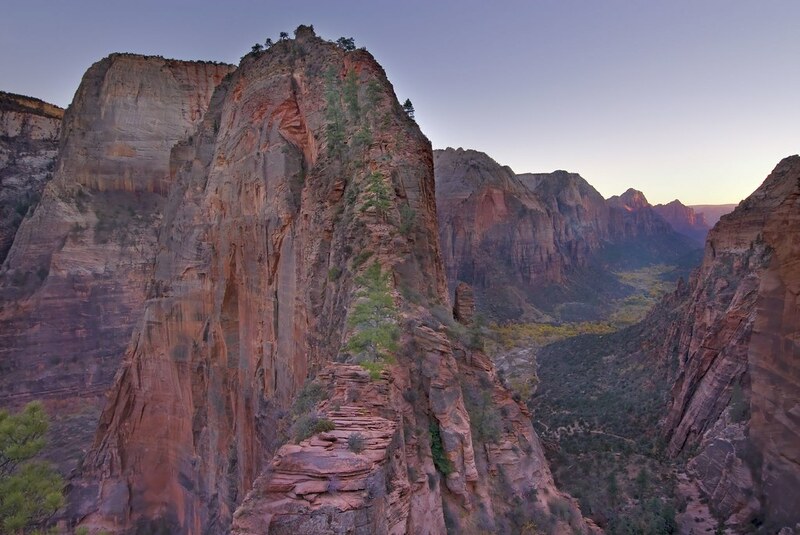 The immensity of the landscape in Zion National Park is almost too much to take in–or to frame in a photo. Weeds near Panaca Summit, photo by Harold Davis. View this image larger. 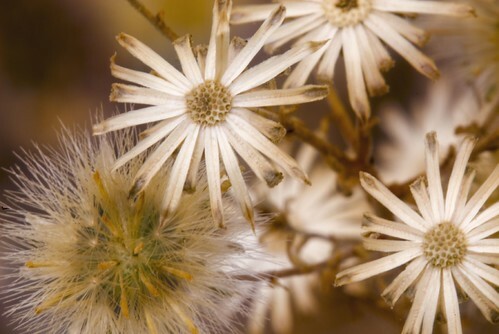 I photographed these weeds near a dry summit in the middle of nowhere in eastern Nevada using my 200mm f/4 macro lens. It’s great to have a variety of lenses in your car, particularly when your car can go off-road. That way, the equipment is available without having to carry it on my back! 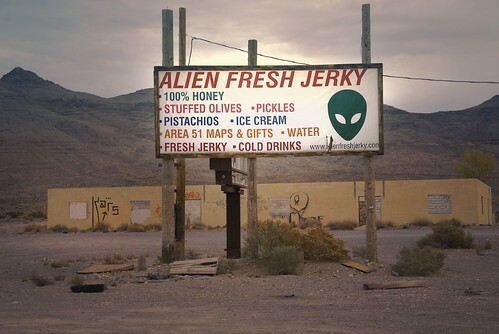 Alien Fresh Jerky, photo by Harold Davis. View this image larger. This is a roadside business sign that provokes many questions: Was the jerky made of aliens? Were the aliens fresh? Were they so fresh they were rude? And what bright beam of a brain thought up this clear winner in the Darwinian struggle for survival of the fittest business model? 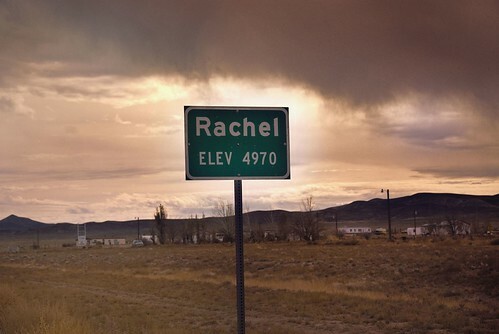 Oddly enough, when you drive the length of the barren Nevada Highway 375, the so-called Extraterrestrial Highway, long and boring, past a few outposts like Rachel, Nevada (below), coming on signs like Alien Fresh Jerky and the ET highway markers are great relief. Even odder, there is a “real” website for Alien Fresh Jerky, and the business has a neat and tidy retail outlet going along Interstate 15 near Baker, California. 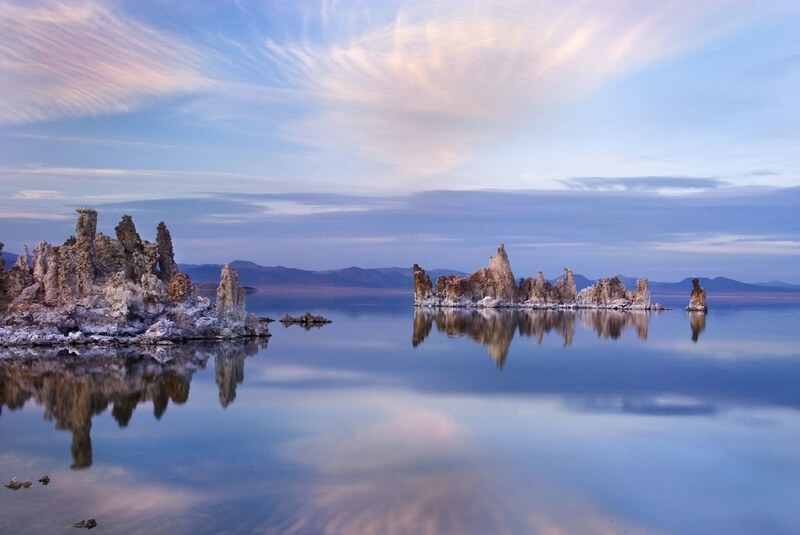 Tufas, photo by Harold Davis. View this image larger. 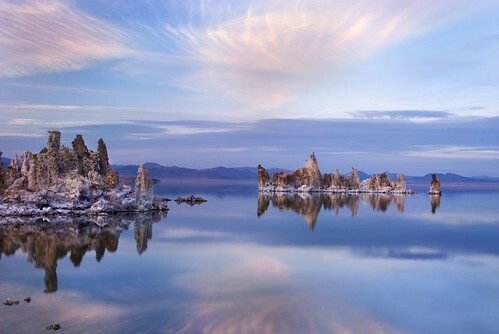 After photographing star trails over Yosemite Valley, I headed over Tioga Pass, and stopped to photograph sunset at the Mono Lake South Tufa area before heading across the Nevada desert towards Zion. A photographer was working the scene on her tripod near me. We got to talking shop, as photographers usually do. It turned out she was StormyGirl, a virtual friend from the Flickr community. Well met, indeed! Zion Canyon at Night, photo by Harold Davis. View this image larger. 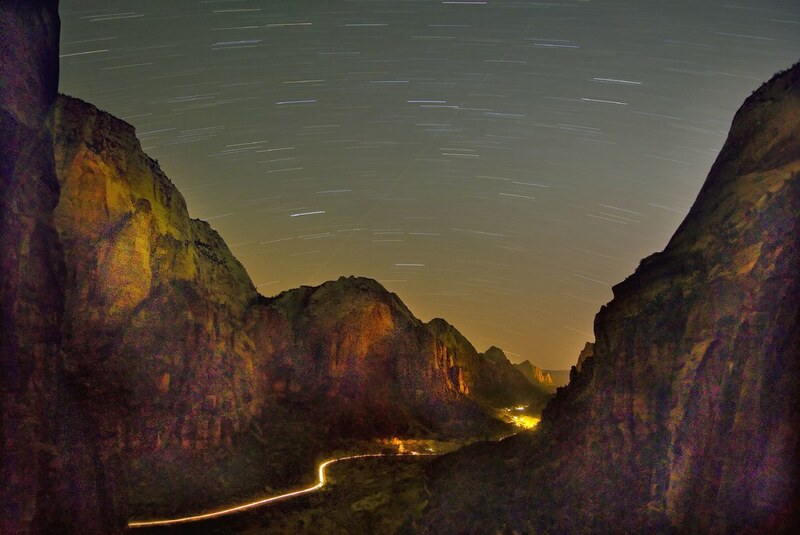 On my way down the Angels Landing trail in the dark, I stopped at a bend where Zion Canyon spread out before me. Looking back and up, I photographed star trails against the massive rock walls. Looking down at Zion Canyon, the darkness seemed almost complete. I used a high ISO test shot to establish the exposure value of the situation, and then burnt my battery to the bottom of the tank with this thirty minute wide-open exposure at ISO 200.